Home Clothing How do you improve on the ultimate game shooting jacket? Those who wear Schoffel tend to be very loyal to the brand and stick with it, because they find the fit and longevity to be second to none, and whilst their clothes may seem expensive, given how long they last, they actually work out as very good value for money. 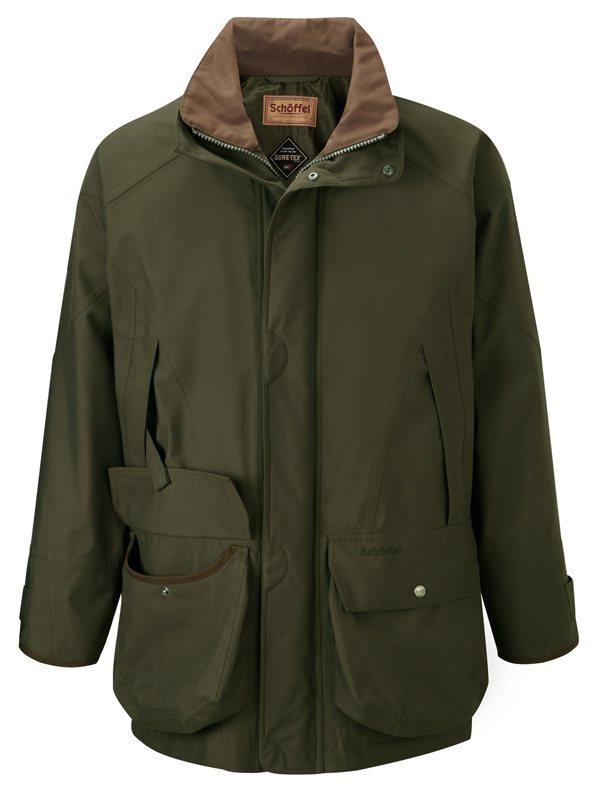 Amongst game shooters the Schoffel Ptarmigan jacket tends to be considered about as good a jacket as any you can buy. The cut has been unchanged in 20 years because it is perfect for the job it is designed for: that is keeping you warm and dry, whilst retaining the freedom of movement to swing a gun. There has never been any doubt that it is a coat that keeps you warm and with its GORE-TEX® lining it is totally waterproof. So how do you improve on what is generally considered the ultimate shooting jacket? The improved jacket Schoffel has developed is the new Ptarmigan Extreme. It is still based on exactly the same cut, with all the same pockets, hood and other features, because they are all needed. However the fabric has moved on, and this new Schoffel Ptarmigan is constructed using the latest GORE-TEX® fabrics. It won’t keep you any drier in the pouring rain than the original Ptarmigan jacket because that kept rain out entirely, so you can’t really get any more waterproof! However with this jacket it is all about the water that gets out, rather than the water that gets in. Constructed from what garment technologists call a ‘2 layer laminate’, it is essentially two highly breathable GORE-TEX® layers fused together to give strength, durability, breathability and waterproofing. The degree of breathability afforded by using this system allows sweat to escape more rapidly than through other breathable membranes, including some other types of GORE-TEX® membrane. When wearing garments with a lower degree of breathability you could get as wet inside the jacket from sweat, as outside from the rain. The new Ptarmigan Extreme from Schoffel goes a long way toward fixing this problem. Another design feature is to incorporate very little else in the jacket. Combining the 2 layer laminate with lots of warm wadding and linings would reduce the breathability, so Schoffel has stripped out any unnecessary layers, hence allowing the GORE-TEX® to do it’s job. On colder days you should layer up underneath the jacket, however it is worth remembering that a lot of traditional fabrics like cotton don’t breathe well. To keep warm you really need high ‘wicking’ base layers and thermal layers, which help get moisture away from the skin. Polyester ( from which all fleece is made), is excellent for this. Try to avoid cotton vests and shirts as they will detract from the efficiency of your jacket’s breathability. So there you have it. 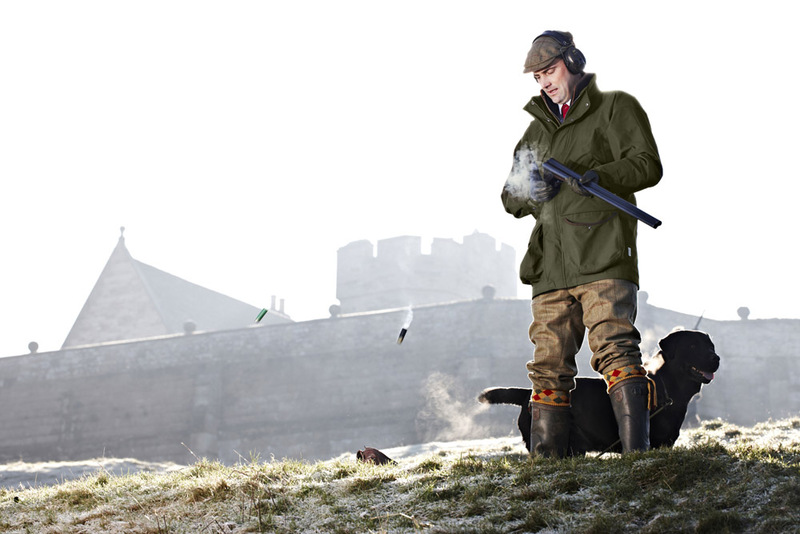 The new Schoffel Ptarmigan Extreme, an improvement on the ultimate shooting jacket. Ptarmigan, Sch?ffel, Sch?ffel countrywear, Sch?ffel Ptarmigan, Schoffel shooting jacket, Shooting Jacket. Bookmark. Hi Mark, can I shrink my Schoffel superlight very slightly in a hot wash and tumble dry ? We would advise against washing your Schoffel in a hot wash and tumble dry, as it may damage your coat.